Under the proposed deal, Rock Church would pay the city $10,000 a month to have exclusive use of the theater every Sunday from morning to night, as well as Tuesday nights, one full weekend a month, and on certain holidays. In addition, Rock Church would build a second structure on city property that could be shared with the City for 35 years, after which ownership would revert to the City. A Citybeat article pokes holes in the City's claims that it consulted theater managers before moving toward locking in extensive time blocks with the church. Citybeat interviewed three major theater managers, including Don Telford, president of a group that runs the Civic Theater and Balboa Theater in San Diego. All said the city's approach is backwards and that the manager should have been consulted first before any scheduling decisions were made. Citybeat reports that Mayor Bill Wells claimed that Mitch Gershenfeld, president and CEO of McCallum Theatre in Palm Desert and former director of a nonprofit that preivously ran ECPAC, has helped guide the City. But when CityBeat contacted Gershenfeld, he also said he believes the city shoudl have hired a theater manager first, Citybeat reports. Gershenfeld and other theater managers mention Sunday matinees as important dates for performing-arts groups, and even say that Tuesdays could present a problem due to rehearsal time and stage build-outs, CityBeat's article adds. On August 12, the El Cajon City Council voted 4-0 to move forward with exclusive negotiations with the Rock Church. (Councilman Gary Kendrick abstained.) The proposal drew numerous speakers in support, mostly church members, but also drew opposition from some members of the arts community and political activists opposed to the megachurch using the public theater for religious services for large blocks of the calendar over many years to come. COPS wants to see the city live up to its promise to hire a theater manager who would plan presentations for the public throughout the year. “We do not take the position that ECPAC can never be used for any religious purposes,” Lutz adds in an e-mail urging supporters to attend Thursday’s rally. 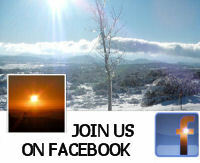 “It can, but the city must be nonpreferential in allowing various religious and secular uses of the theater. We also do not accept the notion that the lease by the Rock Church is the only option for operating the theater, as we have thoroughly investigated this question,” said Lutz. But that promise, like so many past promised deadlines to reopen the theater, has not been kept by the city despite revenues improving in recent months. Lutz has led a Save ECPAC group and ECPAC Foundation that submitted its own proposal for the theater, but the plan was rejected by the City. Their plan proposed a variety of alternatives to boost revenues and support the theater, such as building a backstage patio, VIP reception area and dancefloor, improving concessions, boosting marketing efforts, and bringing in a professional theater manager. 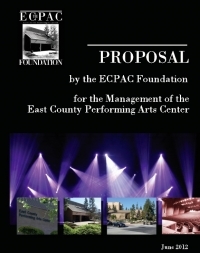 View the ECPAC Foundation proposal here: http://www.copswiki.org/Common/M1269. Insiders at the City have, in the past, said privately that Lutz's proposal would not be considered for political reasons, since Lutz has been a thorn in the Council's side, previously forcing Council to take down videos documenting the history of pastors in America off the city's TV site. While hiring a professional manager remains a possibility, finding one willing to work around the extensive time blocked out for the mega-church’s scheduled events could prove daunting. There they they commit religious genocide. Here we don't. And since certain religious precepts are explicitly referred to and relied upon in our Founding documents, the attempt to exclude religion is a non-starter. As one who has been schooled in law and religion, I say that unless the protestors do their job, we could have the same thing occurring in the US as in the ISIS area! There, they kill people who don't share their brand of religion! This is what occurs when ONE type of religion aligns with the government!! Our First Amendment to the Constitution includes protection for our religious choice by making it a right! Have to wonder, do the protesters really know so little about church/state matters that they believe in their "cause", or is this just another case of political grandstanding?